I was happy to find that, when it came time to fly my solo “cross-country” flights, I was allowed to choose where I would go. I decided to pick places that I would actually fly to once I get my license. In my last post I described my flight to Reading, Pennsylvania (KRDG) which has an interesting approach from the east, is a quick 30 minute flight, and has an aviation museum and a restaurant with “good buffalo chicken wings” according to my flight instructor. While I probably will not vacation in Reading, I will certainly make that flight with passengers, as a so called “$100 hamburger” flight. The next flight had me land in Scranton, Pennsylvania at KAVP. As I mentioned, I had been to that airport several times on commercial airlines to visit family. In fact, my entire extended family on my Mom’s side meets every summer in Scranton. The drive is almost 3 hours from my house, while the flight with a moderate headwind is less than an hour. My goal is to never have to drive to Scranton again! After those flights, I still needed just over an hour of solo cross-country flying to meet the FAA minimum. I decided I would fly to Cape May, New Jersey at the southernmost point of the state. 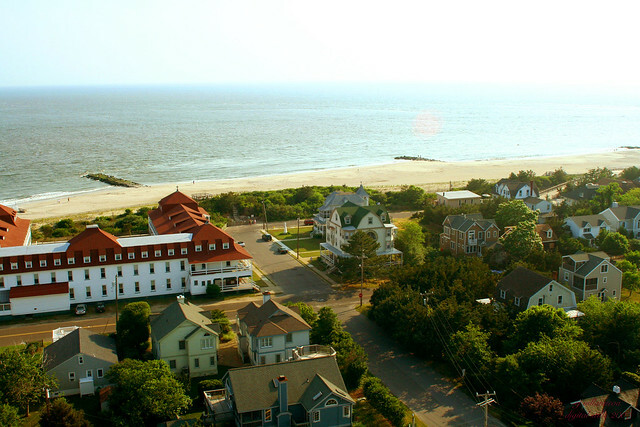 Cape May is a place I would like to visit: it is one of the more iconic destinations for a romantic weekend getaway in New Jersey. But the drive is about 2.5 hours, and I haven’t been motivated to make the trip…until I can fly there! 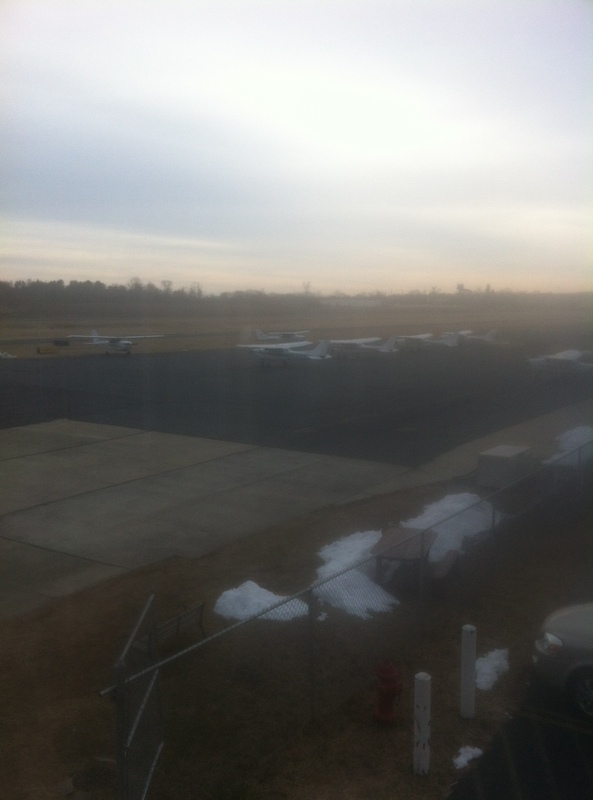 I took a half-day off work and reserved my favorite Cessna 172S for a few hours in the morning. Again I scheduled it the day before the forecast arrival of a winter storm, and I scoured the weather reports and forecasts in the days leading up to the flight. A few days before, the 48 hour forecast seemed promising: light winds throughout New Jersey with visibility greater than 6 miles and ceiling above 12,000 feet. Perfect. 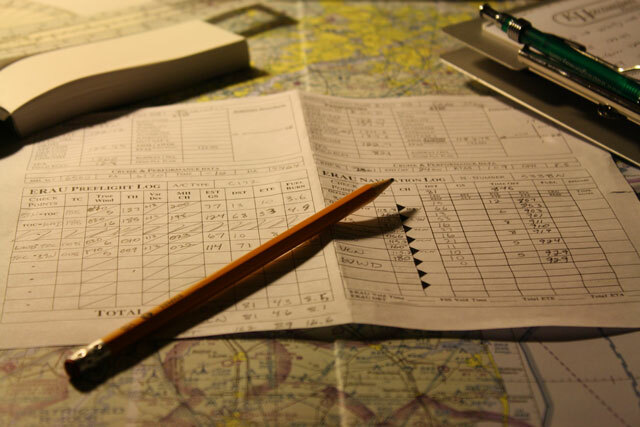 The night before the flight I spent a few hours on the basic flight planning. It almost felt like I was back in school, feverishly cramming for a big test the next day. I plotted the course and decided on checkpoints, calculated distances, alternates, and the sequence of radio frequencies I would likely use to communicate with air traffic control. The next morning I woke up early to that subtle sense of anticipation that soon “I GET TO GO FLYING TODAY! !” Okay…so maybe it’s not so subtle. I should say that I sprang out of bed faster than I ever do when I have to go to work. 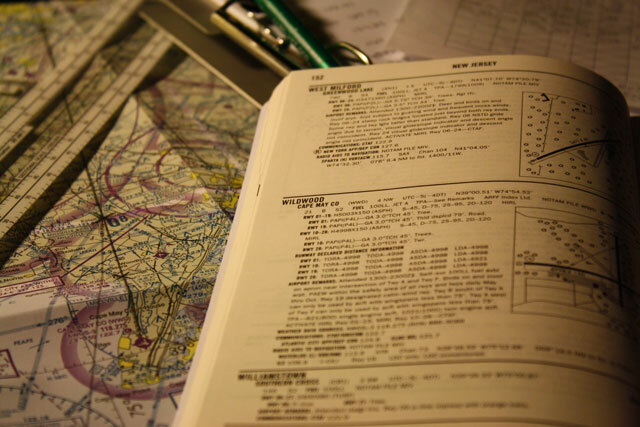 I arrived at the airport about an hour before my flight, which left me plenty of time to call Flight Services, obtain a full weather briefing for the flight, file a VFR flight plan, and finish calculating the magnetic heading, the pressure altitude, estimated ground speeds, and time en route based on the current wind conditions. After a quick meeting with my flight instructor I was comfortable making the “Go” decision, and once it was finalized and I picked up the keys to the airplane my heart rate ticked up just a bit from the sheer excitement. I’m no longer nervous to fly solo, it’s just so so much fun. The preflight inspection, engine start, taxi, and run-up were all smooth. There was barely a breath of wind as I advanced the throttle and accelerated down the runway and eased the plane off the ground at 61 knots. As I climbed to 6,500 feet I called the Flight Service Station and opened my flight plan, then contacted McGuire Approach to obtain VFR flight following. 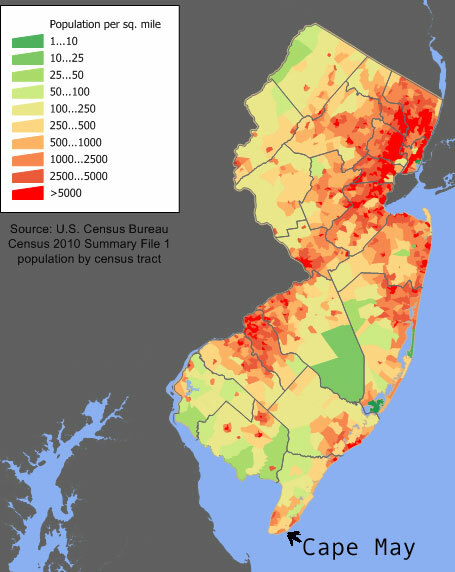 I could already see Philadelphia and Atlantic City, and just a few minutes later the entire shape of southern New Jersey came into view. I still had some 70 miles to go but I could already see Cape May. The airspace was quiet on a Friday morning, and the controllers were pleasant. I enjoyed the view as much as I could while I scanned the instruments and maintained course. With about 10 miles to go I advised the controller that I had the field in sight and she released me to change frequencies and descend at my discretion. During the descent I dialed in the Cape May AWOS for the latest wind information, chose the appropriate runway for landing, and began setting up for the approach. As I descended through 2000 feet there was some light turbulence, but the approach and landing went well. Then another aircraft called over the common traffic advisory frequency for Cape May that he was taxiing to a different runway–the intersecting runway–from the one on which I had just landed. I was worried–had I made an error in choosing this runway? I rechecked the AWOS. The winds were changing somewhat, but I was sure I made the right choice. Perhaps there is some sort of local preference for that runway–and to be honest, there was a crosswind component for both runways, I could have chosen the other and accepted a slightly stronger crosswind. Just to be safe I decided to takeoff on the same runway as the other airplane, and in taxiing across the field I passed the Wildwood Naval Air Station Aviation Museum. 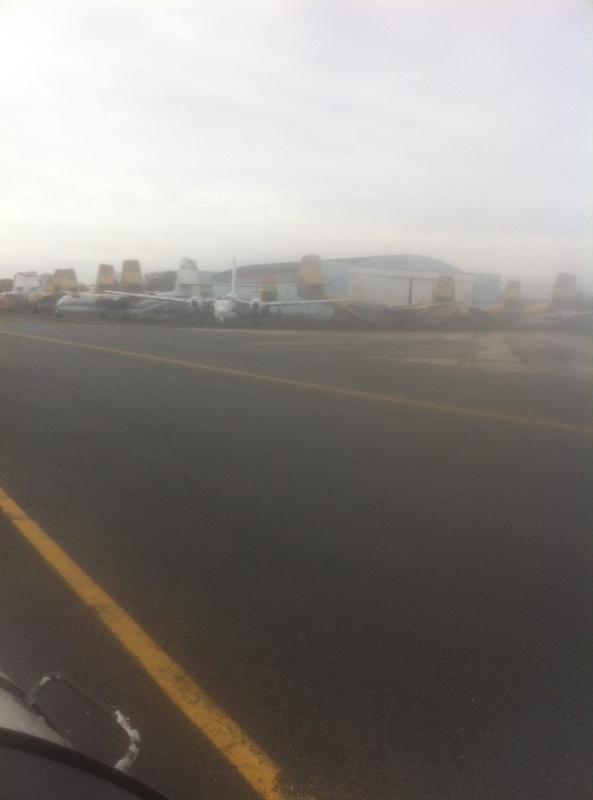 There was a row of old, forlorn-looking military transport aircraft on the ramp. I wondered about the stories those planes could tell, and was kind of melancholy seeing how most of them were gutted of essential parts, and are now nothing more than giant paper-weights and bird nests. The takeoff was smooth and as I climbed up to 5,500 feet I contacted the same controller at Atlantic City. A few minutes later after I leveled off at cruising altitude I heard her give a traffic advisory to a Coast Guard aircraft, and I could tell she was talking about my airplane. I looked out the windshield and just then a Coast Guard Gulfstream IV jet came into view, just 1,000 feet above me passing to the east as I was flying north. That’s the closest I’ve been to another airplane while flying, and such a cool one at that! Well, the cross-country flight was extremely fun, and I can’t wait to make the same flight with a passenger (think: romantic weekend getaway…+FLYING!!!). One important thing I learned, however, is that I need more practice on short-field landings!